The new potato in Noho? The stylish, jam-packed Seamore's. Photo courtesy of Seamore's. When sisters/social butterflies/downtown denizens Laura and Danielle Kosann are not filing posts for taste-making site The New Potato, they're most likely testing and tippling the latest menu items and spirit concoctions for a new batch of stories about eating, drinking, and cooking well in NYC and beyond. We asked the duo where we might find them on any given evening, and they put together a local Little Black Book to their New York neighborhood. A sister act. Photo courtesy of The New Potato. NEW YORK CITY – We moved to New York City right after college, but the love affair began long before that. We grew up nearby, and often visited Manhattan to see extended family, Broadway shows, museum exhibitions, and — of course — eat at great restaurants. For us, NYC has always been the epicenter of all things cultural and culinary. We spend a lot of time in buzzy Soho and its charming neighborhood to the north, Noho. There's always something new happening down here! We compiled a list of our current favorite spots (mixed in with an old classic or two). 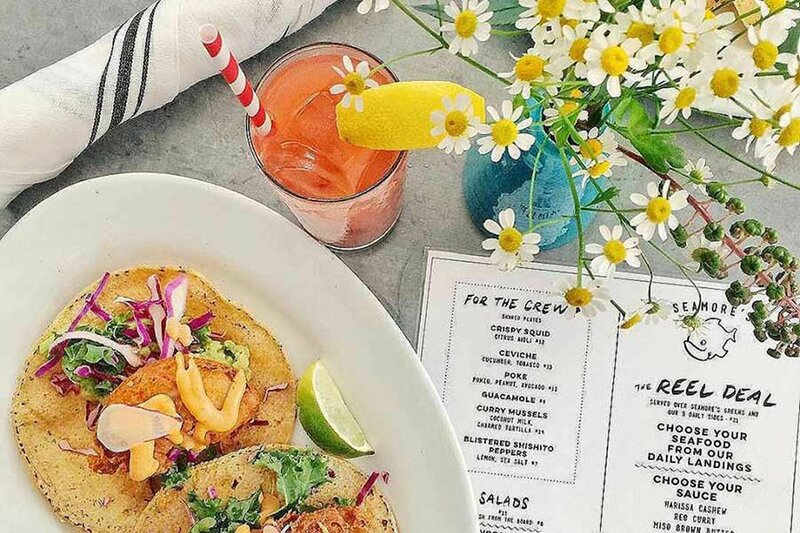 This new spot from The Meatball Shop’s Michael Chernow is an awesome open-air space where fresh seafood is king. A luncheonette where you'll find some of NYC’s latest and greatest tastemakers chatting over Greek salads, Mediterranean breakfasts, and fish a la plancha. This dark, hidden-in-plain-sight, old-school lounge serves serious mixed drinks and is perfect for everything from a first date to drinks with coworkers to a birthday celebration. Tucked away on the second floor of The Public Theater is a sophisticated spot for drinking cocktails before, between, or after a show. They have multiple locations around the city, but the Lafayette location is best for both its atmosphere and people watching. You can also camp out there for as long as you like. Oh, the carbs! Photo courtesy of Lafayette Grand Cafe & Bakery. 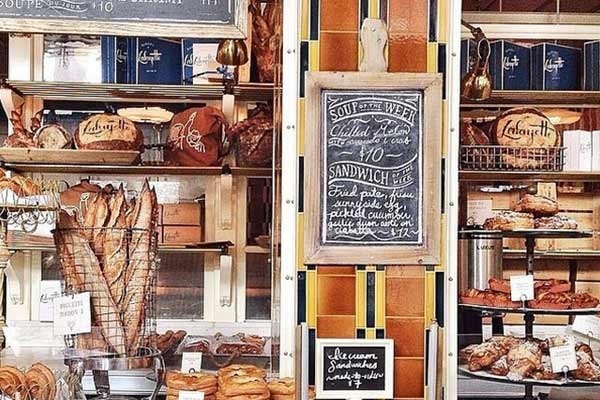 We love this spot from Andrew Carmellini for a Frenchie breakfast or quick afternoon coffee. Don’t miss the boulangerie basket or outdoor seating for people-watching on the wide, promenade-like Lafayette Street. This members-only Japanese eatery is hidden behind a fancy butcher shop. The wagyu beef is to die for. You need either a referral or phone number to get in. Though you can also try your hand at walking by and asking nicely for a reservation number. Pasta, pasta, pasta: Three reasons why you'll fall for this cozy trattoria. You'll feel transported to Italy. A two-story space (often filled to the brim with diners) where you can order rounds of carbs and wine at reasonable prices. A popular off-shoot of beloved neighborhood Italian farmhouse restaurant Il Buco. This is our favorite place for a glass of wine and snack of cheese and charcuterie before dinner. This is a unique place that feels like it belongs to another era. The lobby scene is super cool and the rooms might be the coziest in the city. Downstairs Italian restaurant Gemma feels like a social event. 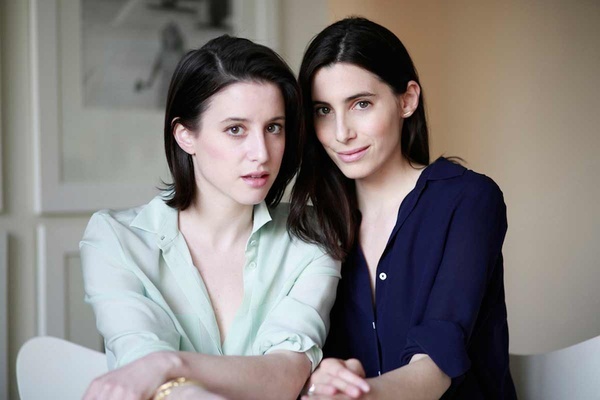 Laura and Danielle are the founders of food and lifestyle website thenewpotato.com. You can follow them on Twitter and Instagram @thenewpotato, and on Facebook. They travel for the work but also because they believe it's both a luxury and necessity.